Sue Boldra is a Kansas-born farm girl who moved to Hays in 1972 when she and her husband Carl, came to manage a small motel. 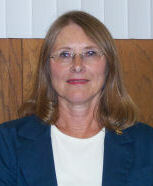 Sue taught in the Hays schools from 1972-2004, when she retired to seek new opportunities. Sue is currently employed as a teacher in the Education Department at Fort Hays State University and enjoys the opportunities and challenges that a career in Real Estate provides. Building friendships and helping others secure their dreams is always exhilarating and humbling.